One of our most popular trips for all ages! 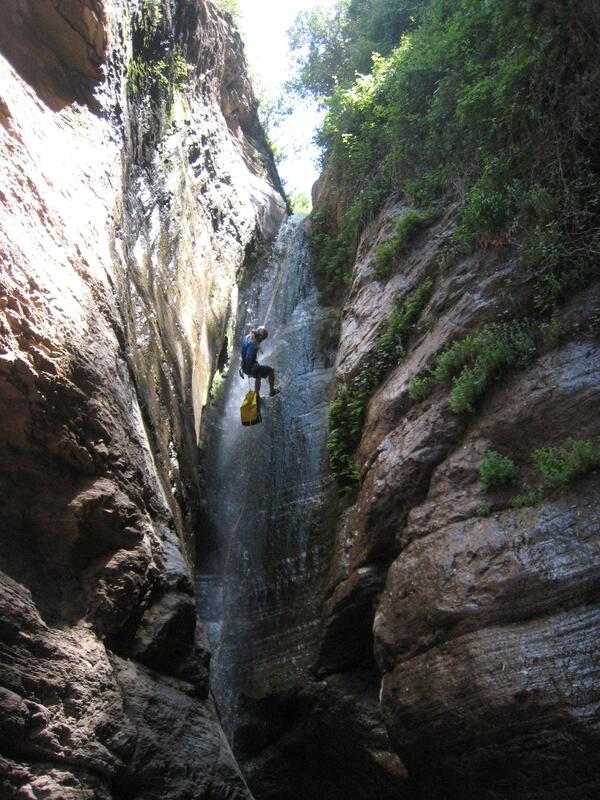 Canyoning in the Ourika Valley near Marrakech, Morocco is an adventure activity that will thrill and inspire you. Canyoning involves descending deep mountain gorges from top to bottom. In Morocco sometimes these gorges will be dry and sometimes wet depending on the time of year and the weather conditions. A good head for heights is involved as you will be abseiling over some spectacular waterfalls, scrambling over rocks and wading through pools of water. This is a true adventure activity and should not be missed. Most canyon tours are half a day in length and are suitable for those 10 years plus and in reasonable fitness. Above includes all equipment and transport from Marrakech and back. 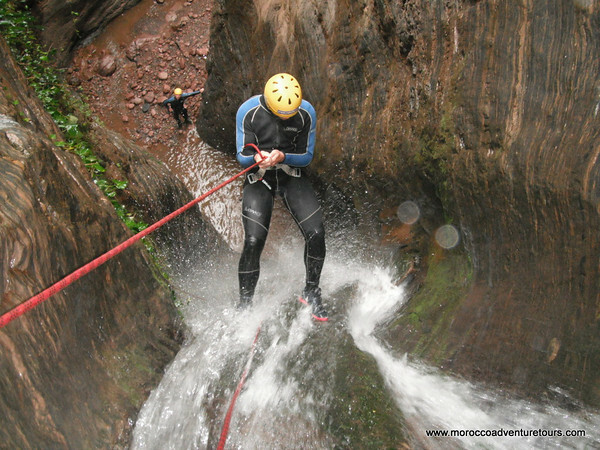 Just call us or email us to enquire about canyoning it really is a great adventure addition to your Morocco holiday. We supply – transfers from Marrakech, professional and experienced guides, all ropes harnesses and hardware. We also supply wetsuits and splash jackets in the colder months of November-March. You supply – a head for heights, sturdy sensible footwear (we have a limited stock of old trainers if you are struggling) swimsuit or shorts and a change of clothing as you are going to get wet! ( we can supply wetsuits but they will be too warm except in the colder months of Nov-March) Just ask if you require and we will issue them. This is something you should really do when in Morocco it is inspiring! Contact us now.